“Drucker’s books are the all-time bible in management for all. 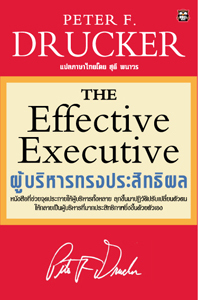 It was highly honorable to be granted the right for the Thai-version ‘The Effective Executive’. The book is said to be extremely difficult to understand. I personally felt the same. But I learned a great deal going through it several times when translating.” Suthee Panaworn.